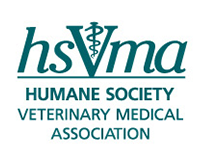 The Humane Society Veterinary Medical Association is proud to announce a program with Safehold Special Risk to offer HSVMA members a veterinary insurance program which provides access to exceptional, cost-effective, proprietary insurance coverage. Safehold Special Risk created a program geared exclusively to veterinary professionals in individual, group or multi-location practices. Now available in all 50 states! Aggressive defense strategies designed to deter claims and promote favorable outcomes. Products and services are offered through Wells Fargo Insurance Services USA, Inc., a non-bank insurance agency affiliate of Wells Fargo & Company. Products and services are underwritten by unaffiliated insurance companies except crop and flood insurance, which may be underwritten by an affiliate, Rural Community Insurance Company. Some services require additional fees and may be offered directly through third-party providers. Banking and insurance decisions are made independently and do not influence each other.